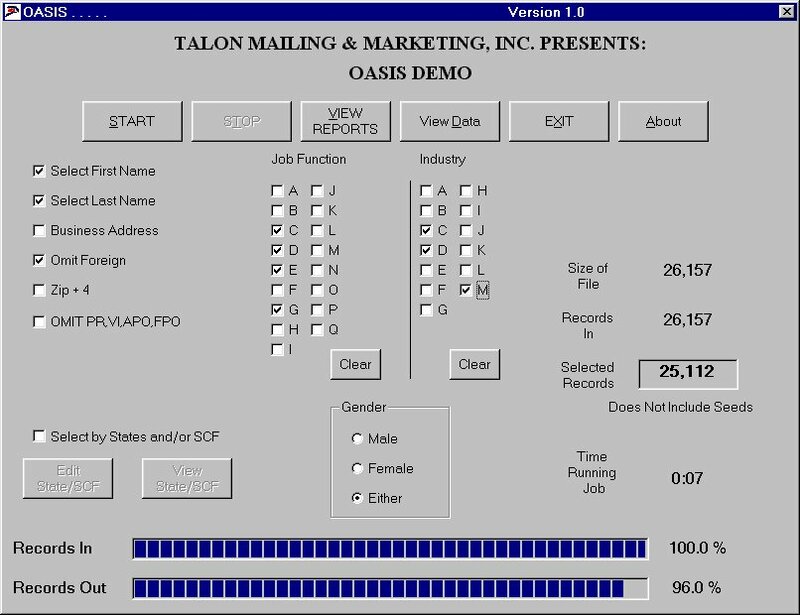 Welcome to the Talon Mailing & Marketing April 2012 Newsletter. Media that consumers can touch and feel resonate and touch more emotions than those of the digital variety. 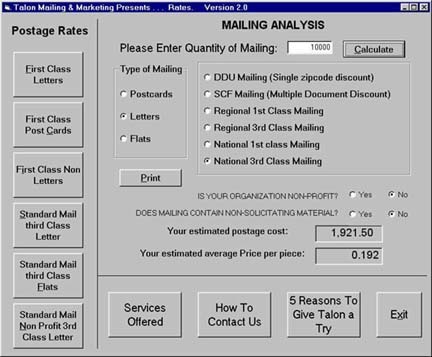 Why do I get the feeling that many marketers today look at direct mail the way people look at the Jurassic Period? Sure it’s nice to imagine what life was like all those millions of years ago, and hey, maybe a movie about it would be nice, too, they would say. But does it have any relevance in today’s digital world? Not really. Well, to those marketers I would simply say beware of the dinosaur, because T-Rex is not only not dead, he is still very relevant and very important. Last year I wrote an article in this very space, In This Land Of Digital, Let’s Not Forget The Physical, which touched on a survey conducted by Millward Brown, a leading global research agency. Their survey revealed that ”physical media–AKA direct mail–left a ‘deeper footprint’ in the brain.” In other words media that consumers can touch and feel resonated and touched more emotions than those of the digital variety. And those consumers that are affected by “physical media” are not just the older demo, as many marketers believe. “Direct mail surprisingly transcends the age demographic, with younger consumers (the 18- to 34-year-old demographic) preferring to learn about marketing offers via postal mail rather than online sources, according to national survey research from ICOM,” said Lisa Formica, president of FMI, a direct mail marketing and advertising firm. Yeah but then there’s the whole USPS nightmare to deal with, right? Will they raise rates again? Will they file for bankruptcy? Maybe direct mail isn’t worth it because of having to deal with the United States Postal Service? Ok, so people like to touch and feel and presumably open direct mail, and it’s not just for the older demos, either. And even the USPS is doing their part. 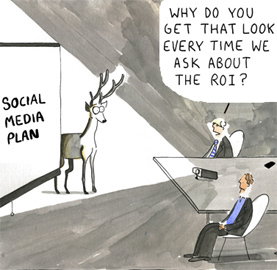 So why aren’t more marketers using it? According to The Kern Organization, it comes down to a matter of training and experience, or lack thereof–as explained in their blog post, Is There Still A Place For Direct Mail in This Digital Age? * Few marketers these days have had the training required to produce winning packages time after time. * Many marketers lack the experience and confidence needed to design an effective testing strategy. I can tell you as one who cut his marketing teeth in the world of direct mail marketing, training and education play a huge role in producing successful direct mail campaigns. And as anyone who has ever initiated a direct mail strategy, testing is paramount. According to a recent survey conducted by Target Marketing magazine, the channel that delivered the strongest ROI for customer acquisition for B2C marketers was direct mail. Direct mail also scored the highest among B2C marketers for customer contact and retention. For the record, among B2B marketers, email scored the highest for ROI and customer contact and retention. Now, truth be told, part of the reason direct mail scored the highest among all channels, such as social media, may due in large part to the ongoing dilemma that is how to measure the ROI of social media. But that still does not take away from the fact that direct mail can be a very effective medium if used as part of an overall integrated campaign. And don’t even get me started on integration. To say I’m a proponent of integration would be a major understatement. Heck I even wrote an article showing the correlation between two of my favorite things: marketing integration and Schoolhouse Rock. Do you use direct mail in your advertising and marketing campaigns and strategies? How about as a consumer yourself, do you like getting packages in the mail? And as for integration, if you do get a direct mail piece do you expect to see the same message across other media? This year’s big summer promotion from the US Postal Service will offer a 2% discount for mail that sports a mobile barcode that sends consumers to e-commerce or personalized websites. 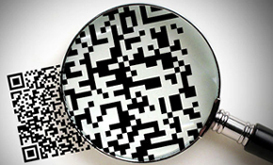 But while last year’s campaign had little quality stipulations for the online content consumers accessed via their QR codes, this year will require the codes to link through to either a mobile-optimized e-commerce website or a personalized webpage. Postal Service executives said that this year’s campaign aimed to demonstrate the powerful marketing that the physical mail can offer e-commerce merchants, and also the ability for mail to be personalized to individual recipients to build brand loyalty. USPS outlined the details of the campaign to major customers at the latest quarterly Mailers’ Technical Advisory Committee meeting in Washington. Explaining the decision to require mobile e-commerce websites or personalized webpages in this year’s promotion, he said it was about the best way to show the value of the barcode technology. The idea behind the personalized webpage option in the promotion is about demonstrating the benefits of personalized direct mail, Reblin explained, adding the claim that personalization meant an average 5% purchasing rate for direct mail. Here are 10 Tips to increase your response rates and grow your business. Don’t waste money or get lost in the shuffle. Direct mail pieces need to catch your customers’ attention immediately and invite them to contact you for more details. 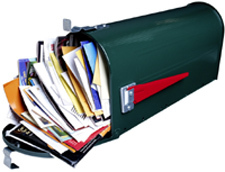 Here are 10 easy ways to get noticed in the crowd and avoid the junk mail bin. 1. Hand address the envelope (or at least give the appearance of a hand written envelope). The personal touch encourages people to open the envelope and see what’s inside. 2. Write a fast, catchy headline that draws them in. Don’t try to say everything all at once. That’s what the copy and the follow up are for; the headline’s purpose is only to grab attention. 3. Include teasers on envelopes to peak interest. 4. Use bright, eye-catching graphics. Warm colors like burgundy or burnt orange create a sense of warmth and comfort. Hot colors like bright red and yellow stimulate excitement and encourage people to eat more. Cool colors like green or blue make people feel relaxed, and color theory studies in advertising have cautioned they could slow heart rate and reduce appetite. Yet, certain shades of blue are thought to trigger thoughts of dependability and authority. 5. Try postcards or self-mailers for an immediate connection. 6. Create campaigns. The more someone sees your logo, contact information, or company information, the more likely they are to respond. 7. Keep consistent messaging. More than just including your brand, consider sending the same graphics and wording to stay fresh in prospects’ minds and trigger a memory recall. 8. Include a call to action and a sense of immediacy. This could be a deal expiration date, a challenge, or a teaser for more information. 9. Give customers multiple ways to contact you. Some people prefer to call and others would rather check out a Website. 10. Keep it short and sweet. If they can’t get what your message is about in 15-30 seconds, customers/prospects will most likely throw away the piece. Monday April 30th, 2012. Yankees vs. Orioles 7:05 PM. waze.com - When you download Waze, you not only get free navigation, but also become part of the local driving community in your area, joining forces with other drivers nearby to outsmart traffic, save time and improve everyone's daily commute. Time's Best iPhone Apps of 2012 - Whether you're looking to load up a new iPhone or simply expand your collection, here is Time Magazine's 2012 list of download-deserving apps. online-convert.com - Convert media and all types of files online from one format into another. Very powerful and easy to use! thisiscolossal.com - A blog that explores the intersection of art, design, and physical craft. drippler.com - Get in sync with your gadgets. Updates and news about the electronic gadgets you already own. koikoikoi.com - Dedicated to featuring the world’s most amazing art, graphic design, advertising, photography, web, tattoo art and videos.